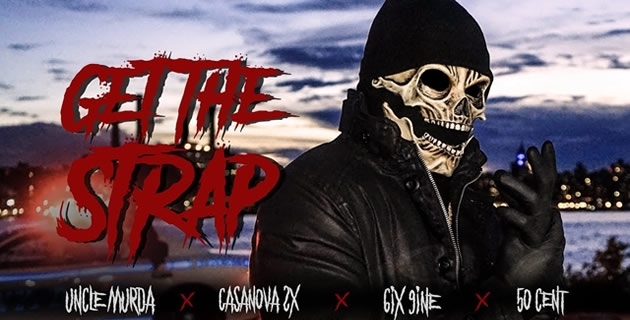 The G-Unit mogul and Power TV executive, 50 cent joins Uncle Murda and Casanova in the action-packed video for their collaboration, which premiered during Episode 8 of “Power.” The Eif Rivera-directed clip opens with masked men breaking glass and shooting up a building before driving off. Tekashi rides out the window of a cop car while being pursued by the gunmen. 50 removes his mask and reveals his face before delivering his violent verse. Watch them join forces below.